Why you need to pick up a library card and enjoy all the amazin-ness that is your local library (you can thank me later). It’s no secret I’m a total bookworm, but I am always amazed how many adults don’t belong to their local library! In case you are one of the (apparently) many that’s doesn’t know the amazing-ness that is your local library, this post is for you. That’s the slogan on my Library card. And this summer, that’s what I will plan on becoming. But instead of collecting nunchucks and throwing stars, I want to be able to whip up an authentic French dish my husband will drool over and figure out exactly how to rid my garden of all those pesky aphids. Summer and reading always go hand in hand and even though I am an avid reader I don’t get a chance to go to our local library as often as I should. My kids and I love our local library and, surprisingly, we get the most use of it during the summer months. 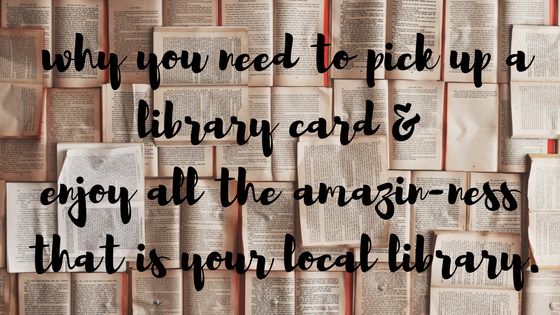 Here are just a few reasons why you pick up a library card and enjoy all the amazin-ness that is your local library. It’s a great place to buy cheap used books. 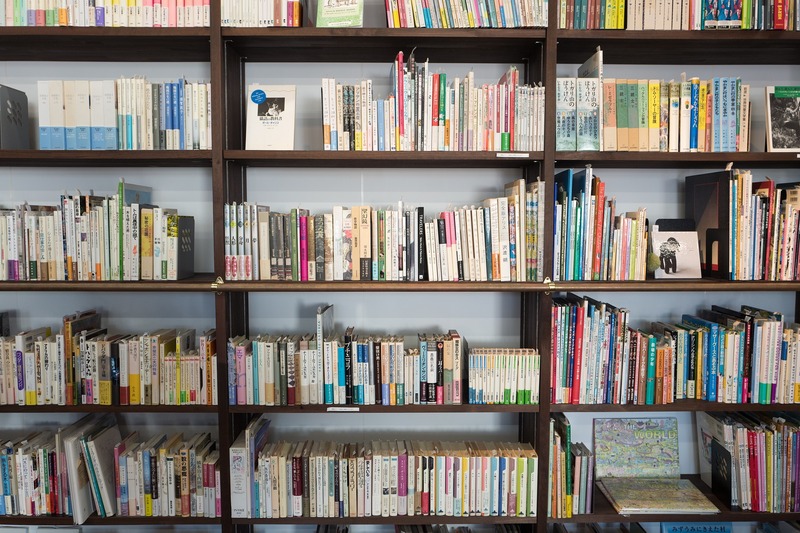 Our local library hosts six Book Sales a year to give the public the chance to get some great deals on books, CDs, DVDs, and more. Book sales raise money throughout the year go to dedicated EPL priority projects. Free programming. Lots and lots of free programming. From Sing, Sign, Laugh and Learn for babies, to Lego at the Library, to video game competitions, to homework help there is something going on for everyone. Their summer programming is amazing and, also free, with activities for every age group. Are you more of a film buff than book nerd? Guess what, most libraries have a pretty large movie selection, including new releases and seasons of TV shows so you can binge-watch your heart out. Maybe you’ll even want to get ahead of the game and read the book before it comes out on the big screen. As they say, the book is always better than the movie. Free everything. It’s not just about books anymore. We borrow the latest movies (Hits 2 Go – are blockbusters that are available for a week rental with your library card), video games (all gaming systems have games available), music CDs and movies. Going on a road trip, visit your local branch and pick up some new music and some new books for the car. With three young kids, browsing for books is not possible but with the EPL app, I can browse online and place books on hold. My holds are then pulled off the shelf and are waiting for me when we arrive at the library. Place a hold on a new release and then wait for an email letting you know that your copy has arrived. Awesome staff & air conditioning which is an added bonus in the hot summer months. It helps cool us down and escape the heat of the day. Digital access. With my library card membership, I can borrow up to 10 titles a month with a week-long lending period, I can access the latest music from my favorite artists or movies and either stream it or download it onto my device. Once again, load up before your next road trip. You can also borrow books and movies but I use it strictly for the music. Don’t fear the late fee. Not only can you pay late fees online now, but my librarians don’t even ask me to pay fines until I’ve surpassed $10.00. No need to fumble for pocket change at the last minute. What about you? When was the last time you went to your local library? Something about the smell of books get me every time. I love to read but just not on electronic devices, must be a personal thing. I love our library because we can also rent out CDs, DVDS, and magazines. Libraries are AWEEEESOME. It’s so important for families to utilize the library systems. I just wish people would remember that libraries are supposed to be quiet places. Lots of folks near me let their kids run around like maniacs. Other than that it’s a great place to go, lots of awesome activities and of course BOOKS! Sadly, it’s been too long since I’ve been to our library. But I think it’s time to go with the kids. My daughter need her own card now! I always pick up books to read from our local library. We just don’t have the space for me to keep buying brand new ones – I already have several book shelves and a couple of packing crates full. Oops! I’m so happy you posted this! I’ve loved libraries since I was little, and I wish more people knew just how great they really are. We love our local library. Free movies, music, books and activities. And then I head there for the monthly book sales and walk out with things to read and barely spend any more. All proceeds support the programs we love and enjoy. Everyone should have a library card. I love my local library. They know me by name I am there so much. I adore books and I agree everyone should have a lubrary card. We love the library, but girll those fees! My two kids (ages 3 and 5) took out 27 books. Of those 27 books 24 of them were returned 8 days late. The remaining 3 of the 27 books got mixed up with their books and were finally returned after getting a notice from the library. When it was all said and done we owed $29.10! We still love the library and go once a month. Yes! What a great way to find new reads and get the kids out of the house this summer! Love that you posted this! I’ve been meaning to go to our local library with our little ones. I LOVED the library as a kid and I know my little one will too! I still take my son to the library regularly!! He loves discovering new books. I truly believe the library saved me as a kid. I had a rough life of sorts at home and I retreated to the library in our town. It is amazing to escape into books. It’s our summer goal to utilize our library more. The kids really want to take advantage of reading programs this year. We love love love handing out at our local library and checking out books! You seriously can’t beat the savings. We love books! My family loves visiting the library! I do too! I recently started to take out cook books! It’s been great for finding old movies that we want to show the kids too. My family loves the library! Our local one has a ton of summer programs and my kids adore going there! As soon as my boys could write their name they got their first library cards! We use the library a lot! IT’s a fantastic and free resource!